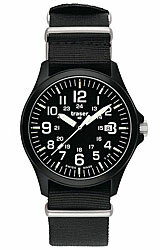 The Traser Red Combat, Model 104147, is the newest watch born out of the P6600 series of watches. It's the best of what Traser has to offer. 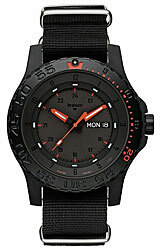 The Red Combat features a black calendar, day-date, robust double case construction, bidirectional rotating black PVD-plated steel bezel, sapphire crystal, 200 Meters water resistance and full tritium illumination.